Just like the one handed cast, efficient kayak angling requires skill in handling a paddle with one hand. 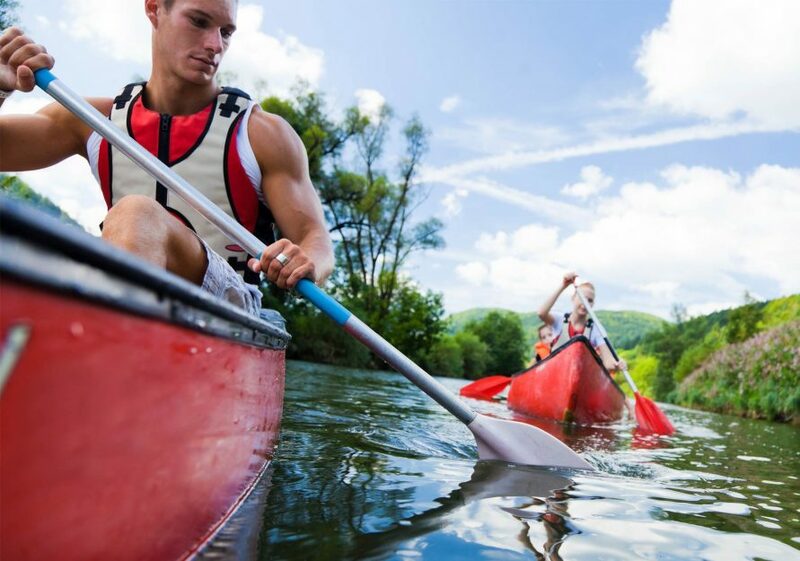 Paddling a kayak is simple with two hands, as the rhythm comes easily to even the least experienced of anglers. But what do you do when you’re fighting a fish with one hand, and you’ve got to steer your boat back upstream to get on the other side of a laydown or avoid an overhanging branch? Practice locking the shaft of your paddle along a forearm, which anchors it along your arm, and allows you to use it more like a canoe paddle. You might think current is a nightmare to fish in a kayak, but that’s actually far from the truth – provided you know how to use it to your advantage. Most kayaks are short and light enough to actually sit entirely in an eddy, preventing the boat from moving downstream, and giving you plenty of time to thoroughly fish the corresponding current seam. To maximize this, go past the spot you want to fish, then tuck into the eddy behind it, and fish until your heart’s content – without even having to paddle.